It was fun to see how everyone did last week with the pop quiz about how well we know Delta Airlines rules. It is an unfortunate fact that, like the change to the ETV rule, many of the updates are being sneaked in by our beloved Delta. I am under no illusion here. I clearly understand Delta is NOT a charity. They do not fly as an altruistic endeavor so you and I can see those we love and enjoy the most amazing parts of this planet (☺ that is why we have card churning ☺). No, they fly to make money – period. But it takes passengers to do that and many rules have, as of late, upset flyers. So let’s be informed. Here are some things you need to know. You need to know because Delta will NOT TELL YOU. Please look at this PDF link here about the EU rules Delta.com talks about when you are delayed and then come back to the blog post. You have now read the PDF, right? OK. So what do you need to know here. The EU rules are very different from the USA rules. Do not assume that weather or other rules apply when you are over there. In this case they can work FOR you. Next time something comes up let Delta send you CASH direct to your bank account. That is the kind of “sorry” we all understand. Also the old way of spending courtesy vouchers is changing as we can see from this link at Delta. Now we no longer just hand over vouchers, we use them like a credit card. We can no longer just “give” extras to anyone we want if we don’t need them. If we want to be nice to someone who deserves it, we have to buy for them – and that is fine. The other big news is the 2 NEW Delta Hubs in NYC – talked about in this piece . 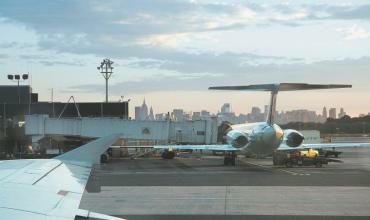 Delta has in effect turned New York into a replacement hub for CVG. There is logic to this but considering what a mess EWR is already and delays common, I don’t know how happy flyers are going to be. Low level award availability should definitely from now on go up and all NYC airports should be a starting point to search for seats. There is a video at the Delta Blog as well. ← 5 FREE Restaurant.com $25 gift certificates from DeltaPoints.com today! I don’t understand how they get away with the one voucher rule. The vouchers are cash-like instruments given as compensation. It’s nothing like SkyPesos which everyone understands to be a loyalty program first and foremost, not a cash-like instrument.